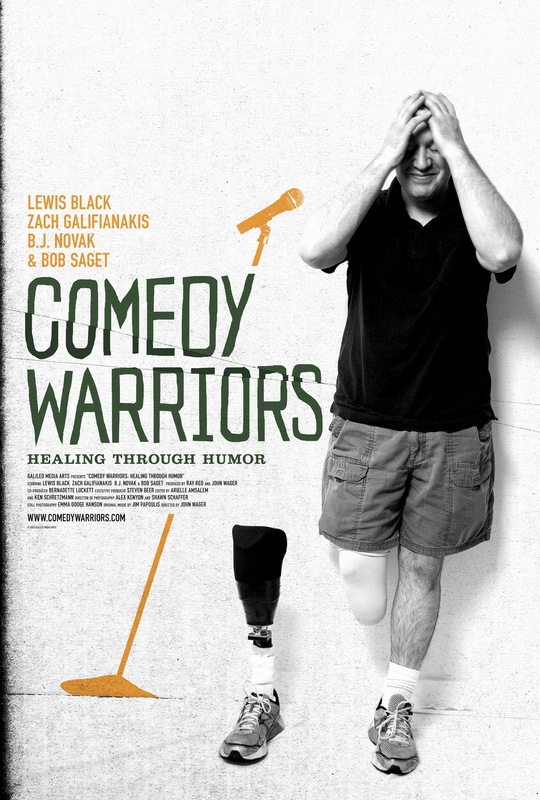 COMEDY WARRIORS: HEALING THROUGH HUMOR is an documentary featuring five severely wounded veterans from the Iraq/Afghanistan conflicts, with injuries ranging from burns to multiple amputations, embarking on an exciting new mission – stand-up comedy.With help from their own comedy writer mentors, and coaching from A-List comedians: Zach Galifianakis, Bob Saget, B.J. Novak, and Lewis Black, they were guided in creating their own personal standup routines and fine-tuned until ready to perform at LA’s top comedy clubs. Right from the start of this poignant and funny journey, it becomes clear how vital humor has been in their rehabilitation process. The theme of triumph over obstacles prevails throughout the film, elevates your spirits and keeps you laughing at the same time.